Almost time for the sun to shine and the warmth to come once again. It also means that camping season is at its height, including for the bikers out there among you. If you’re a first-timer, or a seasoned camping biker, this one’s for you: we’ve got all the top tips for camping with your motorcycle that you could ever need. So, sit back, read on and take note of this full-fat guide to camping on two wheels. Everyone always puts scenery at the top of their list when it comes to finding a campsite. And why shouldn’t they? After all, you don’t want to be in an ugly middle of nowhere. However, it’s unwise to ignore other features of a campsite, especially if you’re with the motorcycle. We recommend picking a campsite on higher ground with few rocks and no high grass. That’s the key to getting a strong view, comfortable shut-eye and insect avoidance combination. So take it on board. Just because you’re taking the motorcycle doesn’t mean you need less of the camping essential as usual. Yes, packing light is a great choice, but you can’t forget the important stuff. Make sure to add a pen knife, torch, waterproofs and a first aid kit (with an emergency blanket included) on your packing list. You won’t regret it. Depending on your type of camping trip, the cooking equipment you need will vary. We recommend heading to your nearest (and most reasonably priced) outdoors store and raiding their cooking equipment section. Pots and pans do come in handy, but be clever about what you’re going to cook and see if you can cut out the need for such equipment altogether. Plates, bowls and cups can be bought, alongside cutlery which takes up no room at all in your bag. Some motorcyclists don’t bother packing a tent when camping, and are happy to simply use some sheets or tarpaulin to cover them while on the move. But it’s entirely possible to take a tent with you when camping with your motorcycle – and advisable too. You have extra security and protection from the elements by packing a tent. They come in all different styles and sizes, so you don’t need to panic about packing it all on the bike too much. In fact, you can even buy tents which are built with vestibules where you can tuck your motorcycle in nicely. No matter what campsite you choose, there’s always a risk of being nibbled at by annoying insects when camping with your motorcycle. Pack some repellent, especially in warmer climates. We’d recommend DEET – a fantastic repellent which works wonders with those pesky winged creatures. Especially handy if you’re on the move a lot when camping with the bike are solar chargers. As long as you’ve got the sunshine, you’ve got the juice –and it’s really a beautiful gift. 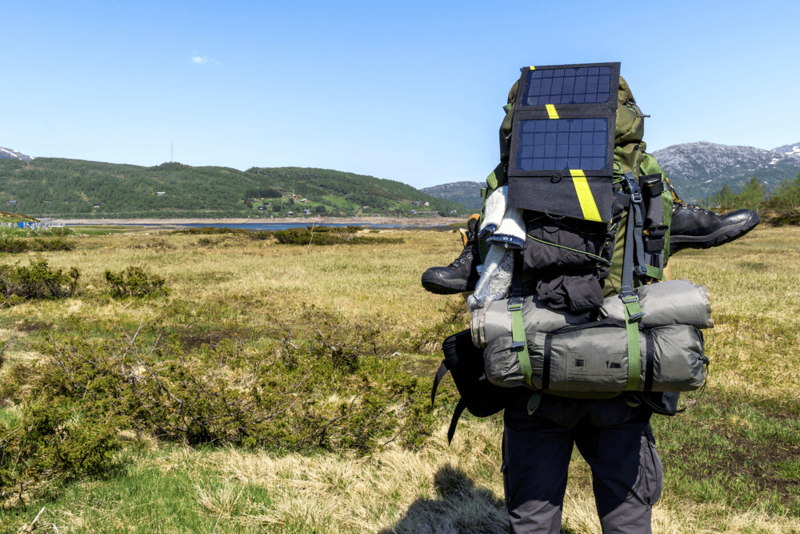 Pack a solar charger to boost the GPS of yours so that you’re not relying on reading a map. You’ll be able to have a stress-free journey to your next destination and can also take some pictures on that fully charged phone of yours. It would be a lie to say you don’t have to think about your packing a great deal when camping with your motorcycle. You’ll need to organise efficiently and securely, seeing as you can’t control the weather and have a lot of stuff to put on one bike. 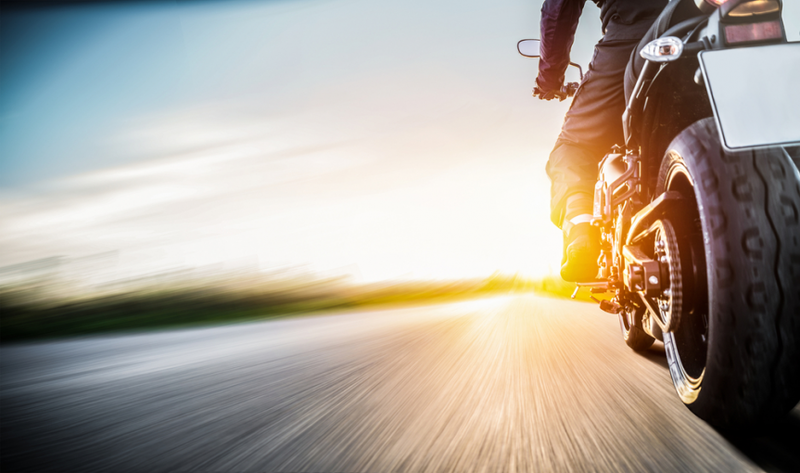 Pack some dry bags to ensure your valuables and motorcycle clothes are protected from any sudden storms (yes, even in the summer) and to also compartmentalise your items. If you do this, you’re organised and can save space, especially with multiple dry bags which you can slot together in a large bag. One item you will definitely need when camping with your motorbike is a saddlebag. They are your new best friend, especially the throw-over ones. Pack some of your heavy items on either side to balance the weight out, and also for extra places to store things. If you use saddlebags, you’ve got proportion on the bike and also a sensible option for camping with your motorcycle as you won’t look like a complete idiot with far too much stuff attached on the bike. The best packing hack we’ve got is to put the heavy items at the lowest point possible on the motorcycle. Place them in front of the rear axle for maximum sensibility. The lighter packing should be placed higher and closer to the rear of the motorcycle in order to ensure the centre of gravity is as normal as possible with camping gear attached to it. Finally, we recommend packing your bike before you head off and go on a test drive. This way, you’re able to see what’s working and what’s not. After that, you’re good to go. Happy camping!